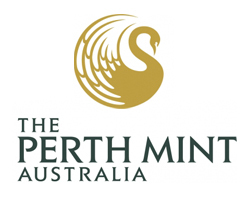 Based in Perth, Western Australia, The Perth Mint began life as a branch of Britain’s Royal Mint with the purpose of supplying coinage to the colony and saving the cost and risk of shipping it there. As the usage of sovereigns ended in 1931, the mint switched to other coinage and bar production. In 1970 the mint went into Australian ownership under the Gold Corporation but remained a member of the LBMA. In 1987, the Perth Mint Australia produced the first Australian Nugget Coin. The Gold Corporation is responsible for 80% of the mints production. The Mint itself attracts many visitors with its main attraction being the chance to handle a 400oz Gold Bar. In 2012 The Perth Mint produced the 1 Tonne Gold Coin with a face value of $1,000,000 taking the title of the Worlds Biggest Gold Coin.